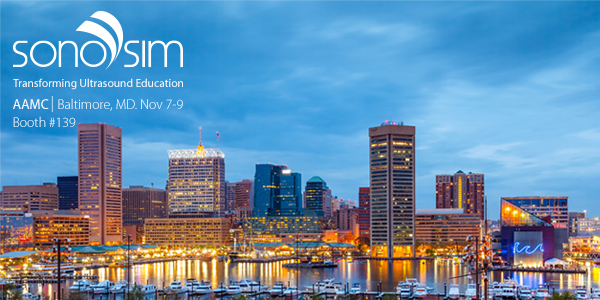 Join us at Learn Serve Lead 2015: The AAMC Annual Meeting and experience firsthand how the SonoSim® Ultrasound Training Solution can be used to advance asynchronous medical education within your Medical School. Point-of-care ultrasound is redefining the way physicians examine patients, diagnose illness, and manage their care. As medical schools and institutions attempt to integrate ultrasound into undergraduate and graduate medical education (GME) curricula, they rapidly realize that the high opportunity cost of providing ultrasound training is a rate-limiting step. The magnitude of resources required to create the curriculum, paucity of ultrasound equipment for individual trainees, difficulty accessing pathologic conditions for training purposes, and inadequate number of trained faculty available to teach and assess ultrasound proficiency are recognized barriers to success. 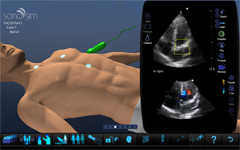 The SonoSim® Ultrasound Training Solution is a portable, virtual ultrasound training experience that utilizes real patient cases with a broad spectrum of normal and pathologic conditions, and was designed specifically to overcome traditional barriers to ultrasound education. Use the SonoSimulator® to scan a myriad of normal and abnormal sonographic conditions, perform ultrasound-guided procedures, and experience first-hand how SonoSim LiveScan™ seamlessly recreates ultrasound pathology in healthy living volunteers and patient simulators. Solution content and features at AAMC Booth #139.